FE Technical Forum / 427 with 4.280 pistons? I know most builders will not recommend anything larger than .030 over, but I see Summit offers .040 and .050 over pistons. Has anyone ever went over .030 on a 427 with a good sonic test? I also know most builders don't like to sleeve them, however I think in Steve Christ's Big Block Ford Book, they built a marine 427 with 8 sleeves? I can't find my book, I think one of my boys has it, lol. We have a 427 side oiler with some damage on 2 cylinders, one on each bank from a wrist pin keeper that fell out. We are not sure yet if even a .050 will fix them so most likely sleeves will be needed. Can we save this block and still have a dependable engine? Looking for at least 500 hp, with the 3.98 crank currently in use. It will be going back in a 1970 F-100 short bed 4x2 for some bracket racing. Since I didn't pull this year I will share my brothers truck. He has been pulling this truck for 35+ years with a 400m, in one configuration or another, from box stock to Pro-Stock. He lost #7 rod on the first pull of the season this year so he missed most of the pulls. His current engine is 434 with CHI top end, about 600 hp. Keep in mind this class allows 565 cid. 1000+ hp engines. I think we can all relate to being the underdog at some time or another in our quest for fun in motorsports. This video is in Bozeman, Montana 08/26/17. He pulled to a 4th place finish with a field of 9 trucks, the 10th truck broke down unloading it. If anyone is interested after clicking on the link, click on the uploads of the poster and you can see all 9 videos of his class. He wants to get back up to the top of his class so he has ordered a 565 from a vendor on this site. Non-FE Discussion Forum / 385 series 502 total iginition timing? My son is getting ready to fire his custom built 502 in his new pulling truck and the engine builder (local) is telling him 25 degrees total. That seems really slow to me but I know nothing about a 460 engine. I know the builder well and want to question him about this but I don't want to insult him either so that's why the question. I know build specs are important but is there a ball park #. I can get more specs but I don't have much right now (sorry). I do know it is about 13:1 compression, ED heads that flow 350, victor intake with 1150 dominator carb, msd ignition, big solid roller cam and 112 octane fuel, about 700 hp. Non-FE Discussion Forum / Any pellet gun shooters. I have always had cheap BB guns, with the current one an old Crossman 66 Powermaster pump up. I think now I need a companion hand gun in a CO2 powered. In the old days, the guns were not sealed very well and every time you wanted to use it the canister would be empty. Has that improved at all? Non-FE Discussion Forum / CHI Products/quality control? I know there are some engine builders on here besides just FE. My brother is in the process of updating his 434 Clevor with a set of CHI 3V 225cc heads and matching intake, 4150 style. The intake has a bad deformity on the plenum side of #2 runner, about an inch down. The air bubble/dimple is on the outside, deep enough that the inner material is almost paper thin, WD40 sprayed in the depression just runs right through. Also in the plenum are numerous chisel marks. On both heads, he pulled out 3 pieces of bailing wire from the water jackets, with a total length of 17". I asked him to send me some pictures. What's up with this? FE Technical Forum / Ignition timing v/s elevation = rule of thumb? Like the topic says, is there a generic rule about this with any given engine build? I know there are a lot of factors that influence ignition timing, but once a build is established, with all the factors of that build including gas octane. On my Ford puller I have the total timing set at 37* and never change it. Should I be? My normal pulling elevation averages 4500 feet. Am I leaving power on the table if pull at 2000 feet or 6000 without an adjustment. I noticed at the Powell, Wyo. pull (4500') that all the west coast trucks got beat by the locals. These are good tough pro mod trucks, but they pull about 500' average. Did the elevation beat them? If there is only 10-15 hp lost that's probably not enough to matter, but if there is 25-30 lost, that does. Is that much possible or no? Here is a video of my Stock Gas Puller with a 440/428. First pull of the new season. The track was too hard and dry for my tires to hook, note the slow ground speed. I have a set of 35" BFG/AT's that I took off before I added some power because I couldn't pull them, I think I need to put them back on now. All the guys that I beat last year on the last pull of the season beat me this time, same tires different track. The engine is running good so I think it can handle the bigger tires now. Note the front fenderwell gap at the very beginning before I launch and after, the weight transferred good (1200 lbs) still spinning bad tho. 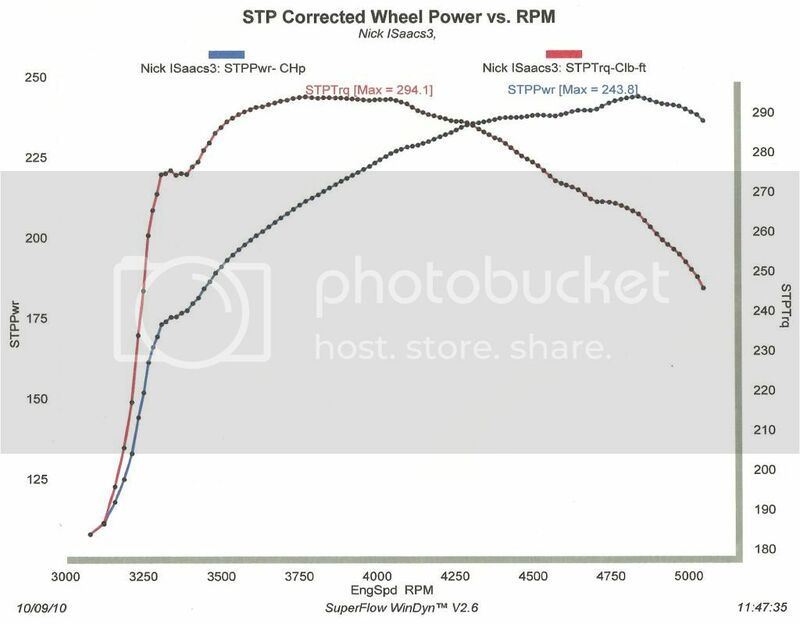 Here is a dyno sheet of my Cummins powered '01 Dodge 2500 and why I tow with diesel power. Towing my sled puller on my 20' equipment trailer I gross 17k lbs and get 12 MPG. Back in the day when I towed with my 428's they averaged 4 MPG in the slow lane It's crazy how much usable power you can make with only 360 cubes of turbo charged diesel power. Non-FE Discussion Forum / Header size too big, is that possible? One of the guys I sled pull with just had a new engine built. The original plan was to build a 496 Chevy with 2.1 hp per cube and turn 8k rpm. They just run it on the dyno and it produced 960 hp, a little short of expectations but still impressive. The builder claimed the headers were too big, that with a smaller set it would produce more power. I don't have any specs on the run, other than the max hp. I can understand header size to be important in a drag car where when you shift and want/need torque to pull you back up to max hp. But for just flat out maximum hp period, will smaller headers really help?? FE Technical Forum / 440FE = 1hp per cube? I have read a lot about this, that it is "easy" to get this number. I have also read a lot, that it is "easy" to get 2hp per CFM of head intake flow. However they don't seem to both add up the same. Since my 428/440 FE is on the mild side or in the "easy" category, I should have 440 hp. Or using the 2 hp head flow numbers, my ED's advertised at 270....I have read that in real life this number might be closer to 250..... so using the term "easy" I should have 500hp. So....using my seat of the pants meter and a chassis dyno for power numbers, I would guess my 440 is more in the 400hp range. I have posted a dyno sheet that I have of this engine, before the Edelbrock top end kit and was when a stock '08 Toyota Tundra beat my numbers, Lol. Any thoughts? FE Technical Forum / Carb spacer, junk?? I was going to buy a carb spacer at the parts store and this is what I found. How can this possibly work with the counter sunk name insignia right in the sealing surface? What are they thinking, or is it just me? I did not buy it! Non-FE Discussion Forum / How to post full sized pictures? I am having a difficult time posting a normal sized picture. I keep getting "file is too large" so I down size but they are so small you can't hardly see them. I see some pictures on here that are full page size. Can anyone please help? First I just want to say I am amazed at the build quality of some of your projects on here. The attention to detail, fixing everything back to original or better, the knowledge and ability of you guys are second to none. My build is a little backwards since it was done years ago. It is also a little different due to the size of the truck and the transplant of the FE to a Cummins. The build quality is not nearly as complete as what I see here but none the less a pretty good rig. I am computer challenged so bare with me a bit as I try to size pic's to fit and such. A little history. I bought the truck (360/4spd/D70/4.10) in 1977 used from a Ford dealer in Miles City, Montana (well used, ex oil field rig) to help move down here to Arizona. It needed to tow an 8x35 park model trailer, so the first thing I did was cut the frame off at the rear of the rear spring shackles for more hitch support and installed a wood/metal 8x10 bed from Omaha Standard (metro model). Please feel free to ask questions. More to come. Dang I can't seem to size my pic's right, any ideas? FE Technical Forum / WOT 428 power improvment sugjestions? 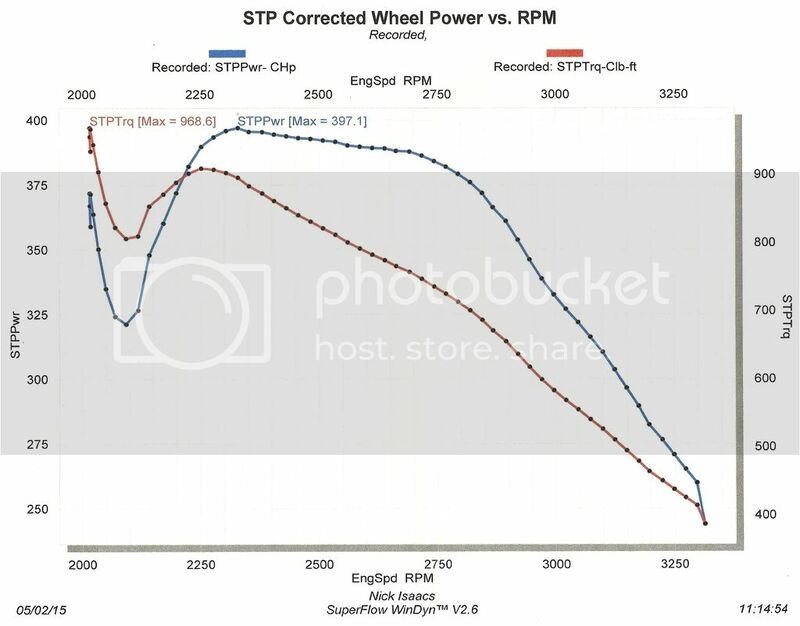 I am looking for any small HP tuning tricks that all you FE engine builder/owners might have. Currently running a 1975 F-250 4x4 puller in the 6500 lb stock gas class. I think It was Barry that said it so well in one of the engine build threads. "It don't matter if it idles like crap and stumbles through the pits, if it makes power where it is working is what matters", true story! I know you guys like details so here is a small rundown of the truck. I think I have the gear ratio, tire size and chassis dialed in. I am running 4.88 gears, 31" tires and a 2.72 low gear kit in the c-6 w/3k stahl. I really don't want to go any slower since speed/momentum is key. The last pull was 16 mph @ 5800 rpm. I would like to get that up to 17/18 mph and 6000/6200 rpm. Engine started life in a '67 XL 428. I have built it twice over the years (30) and is currently 60 over (440 I think) about 10.5 compression, sorry I really don't have much tech specs on this part. I have a complete RPM top end kit installed, one piece at a time (more work but I wanted to see how it responded) because even thou I am a good mechanic I am not a good hotrod mechanic. My last addition is a Pertronics distributor set for 21* initial 37* total, I have not pulled it yet with this. The old oem duraspark was erratic as heck and I think a major problem. I used my 3k Huges stahl converter as my dyno for this setting. 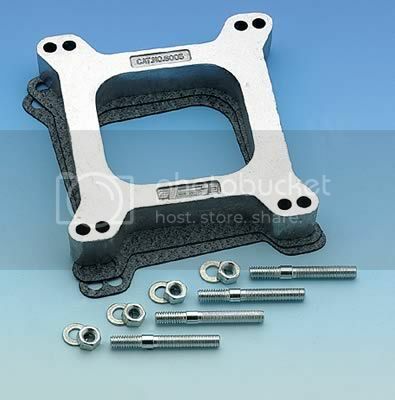 I was wondering if a 1" spacer might be good for 5 hp would a 2" or even 3" help? I have plenty of room in this truck. Also my headers have the one piece collector that necks down to 2.5". I run them open so would it help to cut the 2.5" off at the 3" size? I am also still running the factory PCV system. Is that an issue? I noticed that most of the dyno tests were done for street or some street/strip use, that won't apply here.